Now in its second year and with a complete design overhaul, the Escape Room is attracting attention from students, faculty and staff, alumni, and community members alike. 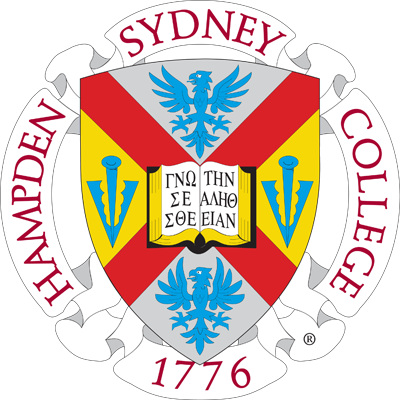 With the large red clock on the wall ticking down to zero, the thrill of opening one more lock or solving one more puzzle fills each and every participant of the Hampden-Sydney Escape Room designed by Dr. Marc Hight, Elliot Professor of Philosophy and Maryska Connolly-Brown, Technical Services Librarian. Now in its second year and with a complete design overhaul, the Escape Room is attracting attention from students, faculty and staff, alumni, and community members alike. A revamped design process brought new skills and perspectives to the room - the result being an immersive experience that Mike Timma, Library Technologist and member of Hight's and Connolly-Brown's test team, calls "the best 60 minutes you can have being stressed out [and] failing, but coming away feeling good about yourself." Hight first conceived of building an escape room at H-SC after stumbling upon one while traveling in Europe. His experience there led him to believe that a similar puzzle room would be valuable for his logic classes and the H-SC community as a whole. Hight said that while other colleges have escape rooms, none are as comprehensive or varied as the one he and Connolly-Brown designed in the basement of Bortz Library. "The escape room I saw at another university was all word puzzles, and there was no narrative or anything," said Hight. The escape room at H-SC, by contrast, encourages teamwork, skills of observation, logical reasoning, and even a few puzzles that require totally outside-the-box thinking. This year, Connolly-Brown joined the effort to help bring new perspectives to the design of the room. "I was part of one of the test teams for the room last year and as soon as we finished I said I have to be a part of this," said Connolly-Brown. Having a back and forth between two people helped in the creation of the room, because both designers took different approaches to organization and regularly solved each other's puzzles during the creation process in order to find the appropriate level of difficulty. "The puzzles are organized into easy, medium, and hard, but the hard puzzles are still do-able," notes Hight. In addition to bringing on another designer, this year the room has a security camera in it for Hight and Connolly-Brown to monitor the teams as well as a hotline the teams can use to ask for their allotted hints. The designers also attempted to adjust the room's "standard of reasonableness," subtracting some puzzles in the hopes of having a few teams escape the room this year - a feat last year's competitors never accomplished. One such contestant to fall just short of escaping, Harrison McNabb '17, said that while he didn't finish, "I enjoyed the escape room and look forward to trying this semester's too." Hoping to give students a chance to "compete where it counts," Hight said, "We wanted to make a cooperative, fun, competitive event that has academic merit." Hight and Connolly-Brown are now in talks with different departments and offices around the college in order to add fun activities to the college calendar. Connolly-Brown said that while she and Hight are running the room, they are actively rooting for the team inside and delight when they can hear cheers coming from inside the room. With the room up and running and several teams already scheduled, the organizers hope to hear many more cheers this spring.